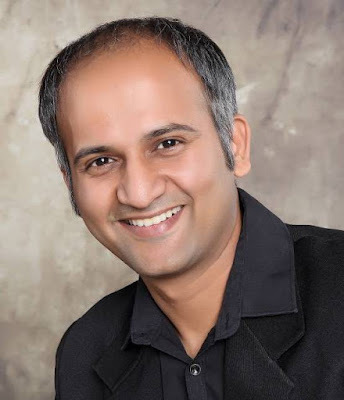 This blog will share about Ahmedabad Salesforce Developer Group - Rajiv Bhatt. Rajiv is Technical Architect at the world Leader in Quote-to-Cash - APTTUS. Tell us about yourself, which Salesforce Developer Group you lead, and how many co-leaders in your group? 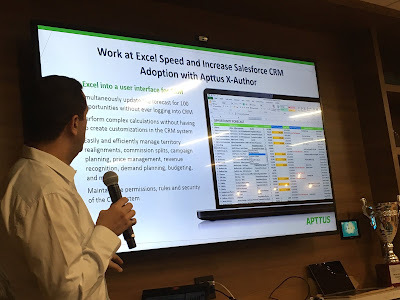 I am currently working as a Technical Architect at APTTUS, and I co-lead the Ahmedabad Salesforce Developer Group along with two other co-leaders - Gaurang Bhatt and Anil Yadav. But, I also heard that you also build Chrome extensions related to Salesforce, would you like to share a bit? Can you share how do you become group co-leader? and what make you interested in accepting the role as the group co-leader? Last year few college students reached out to me as they were curious to know more about Salesforce and they had no idea where to get started. Trailhead came to rescue but they had a lot of follow-up questions. Around the same time, I came to know about #SalesforceSaturday from Atul Gupta. It was just a perfect click. 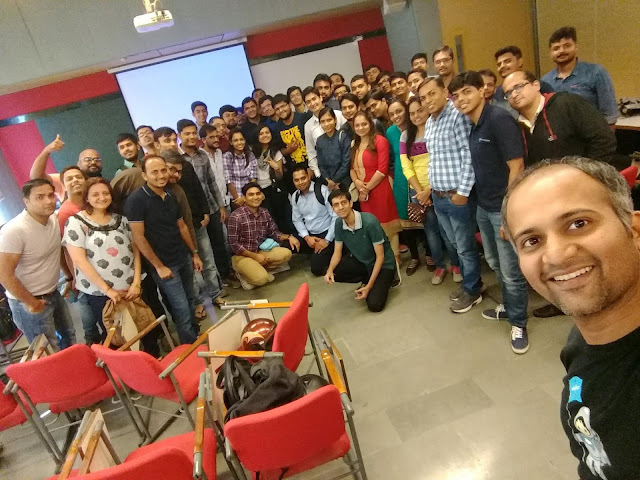 A lot of my peers and Salesforce devs from other organizations agreed to volunteer and we planned to meetup every Saturday and do trailhead modules together. We wanted to reach out to as many people as we could so we created a meetup group and started sharing information on social media. These #SalesforceSaturday sessions were not just for students but for anyone who wanted to get started with their career on Salesforce or wanted to learn more about Salesforce. Our first meetup was in April '16 and then we did around 10 #SalesforceSaturday sessions until August'16 to complete the Admin trail. The group went on to have 500+ members however the sessions came to a halt as colleges started again and the students could no longer make it coz of their exam and other busy schedules. Thanks to Kiran and Gaurang for recognizing our community efforts around the same time and they appointed me as one of the co-organizers for Ahmedabad DG to take the community ahead. Unfortunately I was on back to back business trips after that so I could actually start contributing to community efforts only since Jan '17. 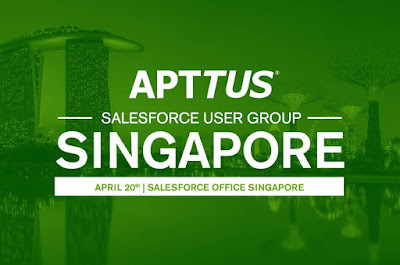 Btw, I am now looking forward to collaborating with student leaders from different colleges who can be the co-organizer of that group and make it an official "Student Salesforce Developer group". We can provide them the required guidance and mentor-ship and this way they also get to inculcate leadership and other skills during the course of their education. It would be a win-win for everyone! We try to meet up once or twice in a quarter. 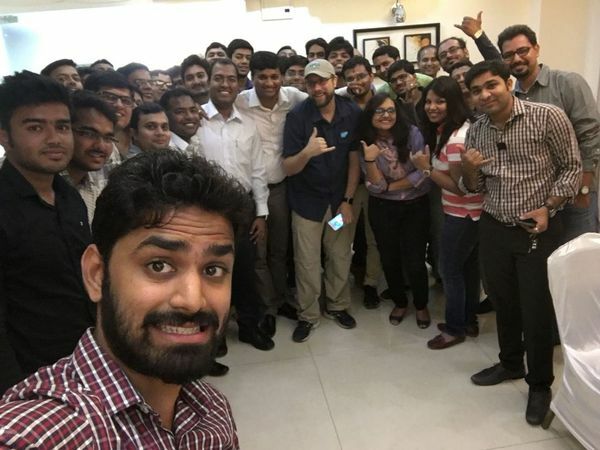 When is the Ahmedabad Salesforce Developer Group established? It was founded in September 2012 though I got involved and started contributing only since last 6 months. How big is your user group member, and the number of members attend the meetup? The user group is around 450 members of which at least 100 are active. We usually have around 30-50 people attending the meetups. What have you learned as group co-leader? There is definitely lots of learning involved, be it organizing skills, managing skills or people skills. Through these meetups I learned that there is nothing more fulfilling then giving back to the community. What do you love being group leaders? The best part is getting to interact with everyone in the community and a platform to give back to the community. It offers excellent networking opportunity as group leaders are the hub connected to different spokes. We help people by connecting them with each other. Like few months ago few students reached out to us when they needed guidance for their final year project. We called out for few volunteers who would be interested to help them. Initially few volunteers helped them and after they got busy I took up the challenge and guided them through the entire phase. It gives a tremendous sense of achievement when we heard back that because of this project and their hands-on experience they managed to crack an interview and got a job even before their results are out. The biggest challenge is to get more active participation from the community to attend the meetups. We are trying our best to get good speakers with relevant content so that more people attend meetup and understand the value of attending these meetups. We have also planned to invite MVPs and other DUG leaders to our meetups so that they could share their experiences and motivate others. We have a very diverse audience - admins (aspiring to be devs), devs, entrepreneurs having industry experience of 1-10+ yrs. Share us tips that make your group success? We give equal opportunity to everyone to present at the meetup. Many people want to present but have no idea about the topics and need some guidance to get started. With little push and guidance, we try to encourage new speakers to present at the meetup. This is an excellent platform to develop personal/professional skills and everyone should get to leverage and experience it. Of course, growth in terms of participation in meetup group. We would also like to see more people stepping up to present at the meetups. We have plans to kickoff new batches of #SalesforceSaturday, trailheadathon or if possible even a hackathon. Don't wait, just get started! Many people wait to take initiatives i.e. they want to do things only after they get officially appointed as DG leader or MVP. I would say if you really want to contribute back to the community then never wait for anything. Just start contributing in a way you want and things will fall in place. #SalesforceOhana is always there to support you. 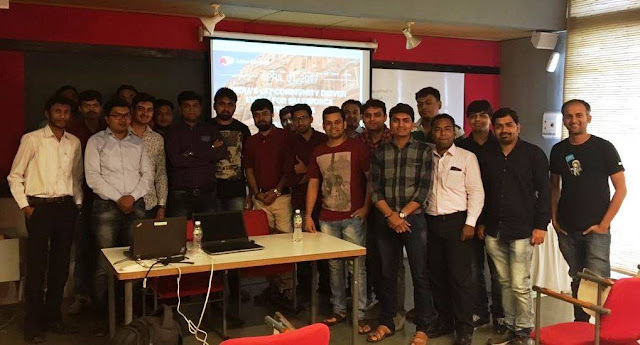 Simplysfdc comment: that is awesome to see the students in Ahmedabad are so enthusiast in learning Salesforce and how awesome Trailhead for this. I see you guys doing a very good for the community with #SalesforceSaturday, thanks again for sharing! Good to see you in Apttus, it is a big name and great product in Salesforce ecosystem, and Apttus just sponsor our last Singapore meetup with a great speaker.